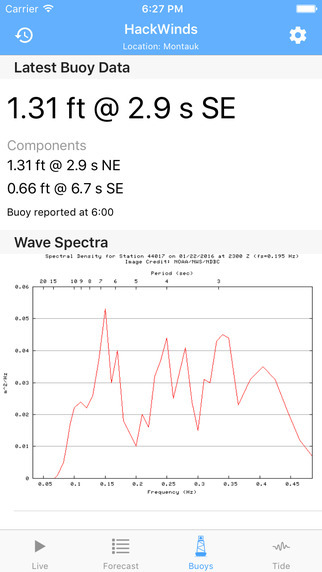 HackWinds is the best way to check the waves on the go in Rhode Island. 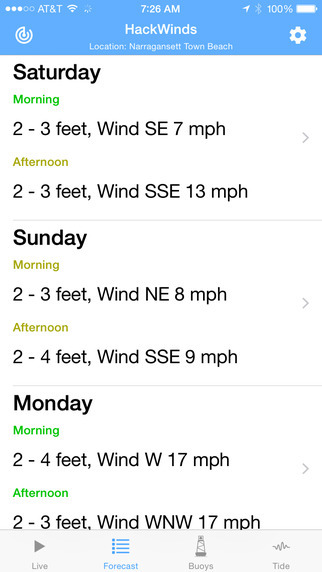 It displays the latest HD snapshots from Narragansett Town Beach, keeping you in the loop with the current conditions. 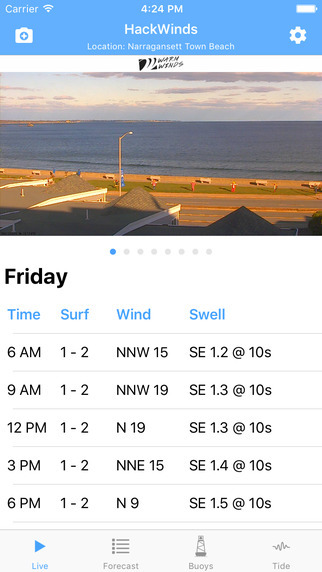 It also features five day forecasting from NOAA WaveWatch III (RhodyCast), tide information for the current day, and live buoy data straight from NOAA buoys. 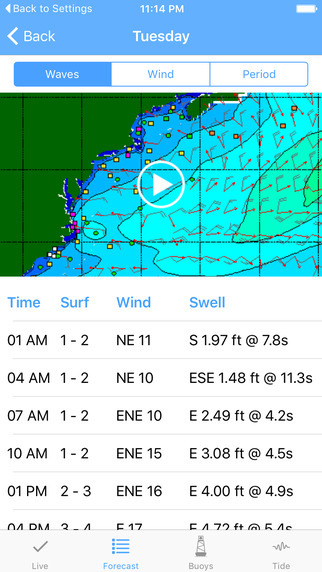 All of the tools you need to track down the current swell in one easy to use app. 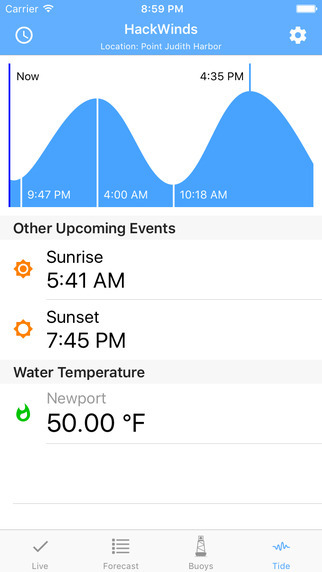 Easily swap between forecast or buoy locations by clicking the location in the Navigation Bar! 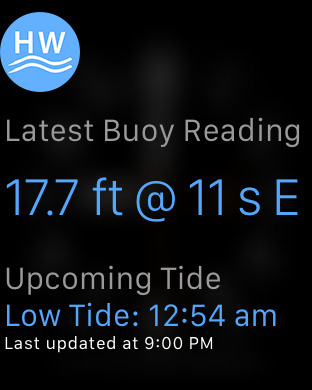 When you're busy, the new today widget gives you the current status of the buoys and tides straight from the notification center! Note: You can click the "Update Time" at the bottom of the widget to force a refresh if it hangs.